I think France are 1 single player away from being more of a threat to Spain than Germany to be honest. I like Germany, but I think they will suffer out of possession and against Spain..thats what going to happen. They have improved since last time, but I wouldnt expect much of a different game from the last time the two met..which was pretty 1 sided to say the least. But France, with Benzema, Ribery and one other (Ben Afra, Menez) backed by Diarra/M'Villa, Cabaye and someone....very decent. That one other cant be Malouda..thats the only problem..they need that 1 other. The backline is decent too, aslong as Evra doesnt play like he has done for extended periods. But Rami, Debuchy and Mexes looks a strong team. If they had Sagna and played Clichy...they would be even better. But yeah, they were very impressive their 2 nil. To me more impressive than Spain. Dominated the game, kept the ball for extended periods in the attacking third. Aslong as Benzema doesnt come too deep and leave them without a focul point...im impressed anyway. @The Franchise wrote: I think France are 1 single player away from being more of a threat to Spain than Germany to be honest. That's him as a player right now, he needs to do that.I watch every game he plays, waiting for crosses , attacking CB's with movement, he can do that but only when he's playing his overall game , needs to be involved more than anything else , just to function. I don't think the extra midfielder/winger makes any sort of sense whatsoever. Nah, That looks like a broken team to me. Especially defensively..they going to get forced back by the likes of Spain and the 2 mids will be overworked. That team you have, Spain would love to play against. Put in a extra mid and Blanc needs to be a coach and get Benz making the correct movements. Everyone says this player does x, y and z..but coaches are there for this reason, to get player to do specific roles which suits the team. I don't agree though, if Benzema was just a striker on the team, I'd say drop him, but he's playing because he's the best player and Blanc is desperately trying to get the best out of him by telling him to drop deep and link up. Cabaye is good defensively, and Benz has been made press in recent times so he wont be a huge problem, according to Mole Ben Arfa is a hard worker.....I think it's ok....not ideal...but ok. If it was someone decent I wouldn't fight it down, but Malouda.....I don't know if that's worth it. I would just try to get everyone to defend, which isn't exactly easy but to me it's better than playing Malouda. Yeah, as I said, it cant be Malouda...I said, they are 1 player away. It doesnt matter how hard those players work, its 2 in the midfield vs Spain..your asking to get hurt. ¨They have at times, 4 players in between the lines at a time. As I said, good team, good plan and they were very impressive in the game. Its a shame Nasri seems better right with freedom than center, because it would be complete. But as it is, 1 player short. Nope. His last performance was rather poor so I can understand it. We are finally starting with Huntelaar AND RVP though, so let's see how that is going to work out for us. I've already accepted that we are out, but who knows what kind of miracle is going to happen. Anyway, I hope he'll get some playing time and in the end we shouldn't sell him for less than 12-15M. Van der Weil, just like the rest of Oranje was bad however I don't blame him. He was constantly left alone with Ronaldo running at him. Your coach was, with all due respect, the worst tactician/man manager/coach I saw in these tournaments. Van Marwijk failed in every aspect. I always thought he was a coward with little to no tactical awareness. He's like Mourinho, but without the epic motivational skills. During the WC it wasn't due to him, but the cohesion of the team. The common goal before anything else. It was an accomplishment of the team as a whole, but not the coach. If it were up to me he would've been sacked a long time ago. Yes, even right after the WC had took place. The fact that he played Kuyt because of his defensive attributes says it all. I predict us performing quite badly in the coming 4/6 years. Our current youngsters are looking good, both on National as on club level, so I expect them to step up after that period of time. Anyway, it's done and dusted. Afellay had a meh EC, so that's that. It'll probably mean we'll hold on to him though. Nah Khaled, Germany will go all the way imo. Tbh I think Alonso just gets in his way and it means he has to try and get forward a bit, which he is not used to. I've said it a million times so I don't know if I need to say it again but they only need 2 of Xavi, Alonso and Busquets. He's a master at sitting in the whole and just mopping up, he's been good as usual when doing that. Theres no use judging any Spain midfielder or even forward in this current set up. Its pointless. Its such a strangely constructed team, the sum of its parts is FAR lesser than the individual companants. B. Still in each others way. Then the forwards..and I use that term loosely. Silva and Iniesta are obviously not forwards and never run off the ball into goalscoring position. Then you get Cesc joining the mix, who does the very same thing. Ultra possession, but alost no cutting edge. I think Torres is utter garbage, but him starting is a must. I can't stress how much I miss David Villa for Spain. i agree with dani.. vdb is complicating things way too much. Xabi alonso getting in busquets way.. the thing is they play similarly in that they stay deep and help keep the play going. theyre both trying to do the same thing.. which wont work. For Alonso, Busquests and Xavi 'to not be in each others way' VDB has to play 4-3-3 with either Alonso or Busquests out of the starting side and Iniesta at AM. We can bring in Navas/Pedro and start creating better chances than what we have at the moment. Said Spain were the favorites and after the France game still think so. Spain have zero cutting edge but as long as they have Xavi,they will just outpass and play around everybody and win by the odd goal. Its an extremely conservative strategy built around the core of the Barca team maximizing possession but nonetheless a very effective one. Everybody seems not to like him because he's 'small', but Jordi Alba is having a great tournament. He has so much energy, he's like an energizer battery getting up and down the wings. 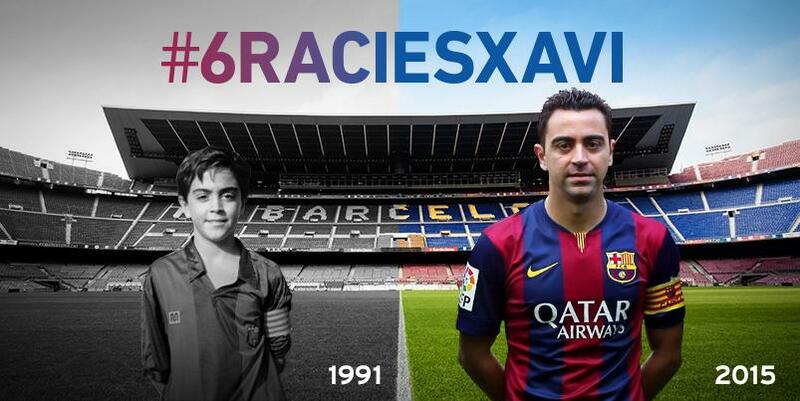 His tiki-taka is also extremely good, in the second game he made about 100 passes, second only to Xavi. He's like a little bulldog. I think he's a good left-back. Of course we would like someone taller, but hey... we're getting him, lets be happy. At least he's a good player and not a donkey. I have to agree with Kizz, Alba is simply genius and that cross was just spectacular and how it cleanly came to Alonso for him to head it in was just brilliant. His passing is prefect and is definately something Barca loves so there is a plus there. He has plenty of energy and his work rate is very good. I wish he was taller because he would really be the best left back for Abidal.